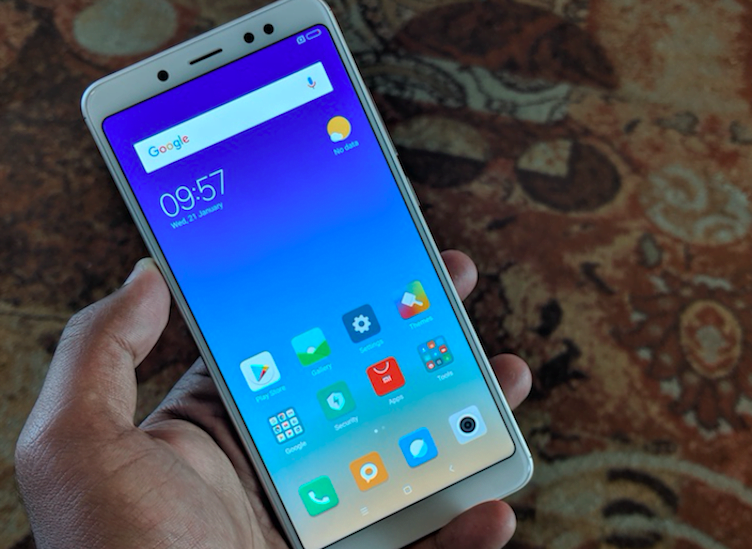 With its latest phone, the Redmi Note 5 Pro, Xiaomi is changing up things a little bit for its shipping and online selling terms in India. Xiaomi devices have been notoriously popular for being very hard to get online from the flash sale model on which the company has previously worked on. Possibly to make the new phone available to a wider range of buyers, Xiaomi is holding a pre-order sale for the people interested in buying the Redmi Note 5 Pro. Unlike in the flash sales, where the availability of the phone depended on the first come first served basis, this time consumers who pre-order the phone can be sure of its availability and the product will also be delivered within five business days, according to Xiaomi’s claims. In the market, there are other tough competitors to the Xiaomi Redmi Note 5 Pro, there are smartphones like the Nokia 6 (2018) and Xiaomi’s own Mi A1, but looking into more recent releases we get to see the Samsung Galaxy J7 Duo which puts up a strong front against the Redmi Note 5 Pro. Although some users might be of the opinion that the J7 Duo gets left behind the Xiaomi phone because of its lack of a bezel-less design, it should also be kept in mind that it’s the first J7 to be shipped with dual rear cameras. This new feature gets it the title of ‘Duo’ and also makes it a worthy competitor of the Redmi Note 5 Pro. Below, we make a detailed analysis of the differences between the two smartphones to help you decide which is a better deal for your money. The Redmi Note 5 Pro has done a good job on its polished and premium feel. The phone is fully metal body except for the plastic with a brushed metal finish around the phone. The device is also equipped with 2.5D curved Corning Gorilla Glass with curved edges. The antenna lines are also very well defined and give a polished feel to the handset. However, the device does lack the latest USB Type-C port and instead ships with a micro-USB 2.0 charging slot. The fingerprint sensor has been placed on the rear side of the device, since the 18:9 bezel-less screen takes up most of the real estate upfront. The Galaxy J7 Duo tries to replicate the design charisma of the high-end Galaxy S9 and sports a full body metal finish. The Samsung phone also comes with the 2.5D Corning Gorilla glass which is also curved, like in the Redmi Note 5 Pro. Samsung is also staying ahead of the times and is shipping this new phone with curved edges instead of pointy ones. This phone sports the fingerprint sensor on the front side of the phone and also sports a micro-USB 2.0 port for charging and data syncing like its competitor. The Redmi Note 5 Pro really shines in the display department as it sports a 5.99-inch FHD+ display with a resolution of 2160x1080p and a pixel density of 403ppi. The Redmi Note 5 Pro shines in bringing the premium feel of the 18:9 aspect ratio phone to the masses at a very affordable price range. The result of this new design is the fact that Xiaomi is able to fit a lot more screen real estate on the device despite of its small form factor. On to the J7 Duo, the phone remains a bit left behind because of its dated display of the 16:9 aspect ratio. The display on the phone resorts to a meagre 5.5-inch Super AMOLED HD, which feels quite old speaking from 2018 standards. Also, when kept side by side to the Redmi Note 5 Pro the presence of bezels on the J7 Duo make it a hard choice in terms of aesthetics. Speaking about the processing power, the Redmi Note 5 Pro is driven by a 1.8GHz Octa-core Qualcomm Snapdragon 636 processor under the hood which is accompanied with 6GB of RAM and up to 64GB of storage. The storage on the device is only upgradable to 128GB via a hybrid microSD card slot. What could be little disappointing to the users is the fact that the phone still runs Android 7.1.1 Nougat (based MIUI 9) despite selling in 2018, however, Xiaomi is soon to push Android 8.0 Oreo to Redmi users. Lastly, the phone is backed by a 4,000mAh powerful battery which will provide users with enough juice for the day. 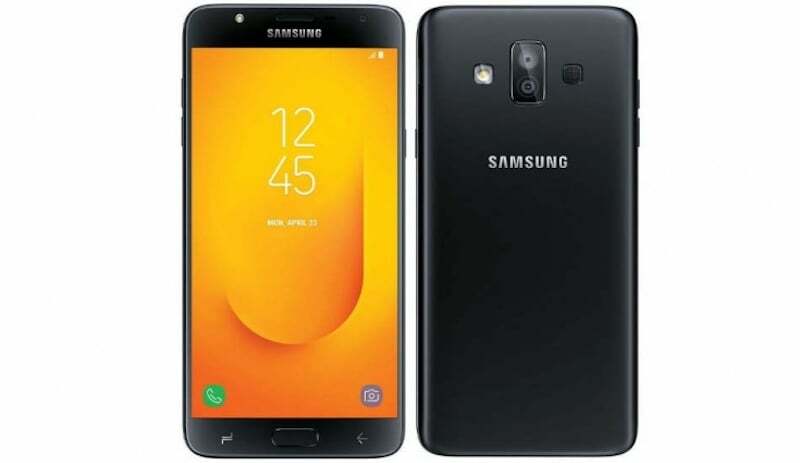 On the other hands, the Samsung Galaxy J7 Duo is driven by an Octa-core Exynos 7 Series processor accompanied with a slightly less 4GB RAM and 32GB storage which is expandable. The Samsung phone takes the lead in terms of software as it ships with Android 8.0 Oreo with Samsung’s known changes to the UI. The phone however slightly lags in the power department given that it comes with a 3,000mAh battery. 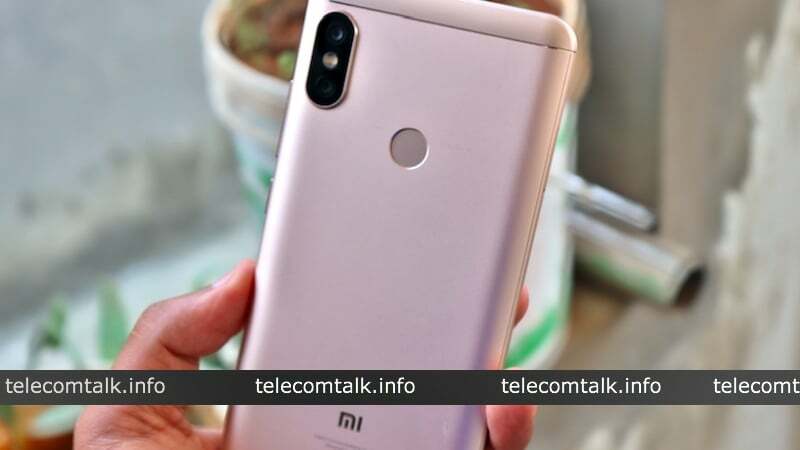 Xiaomi cameras have been known to improve drastically with time, this time the company is shipping the Redmi Note 5 Pro with a dual camera setup on the rear with the system consisting of one 12MP sensor with f/2.2 aperture and another 5MP sensor with f/2.0 aperture. Both the sensors are RGB sensors, and the primary one has a size of 1.25um for letting in more light. Like other smartphones, the secondary sensor has been placed to assist the primary sensor in taking bokeh/portrait mode pictures. The software bumps for the camera include the phase detection auto-focus and EIS, but the video quality for the latter has been capped at 1080p at 30fps. Besides that, the phone also has a dual-LED flash. On the front, the Redmi Note 5 Pro sports a 20MP selfie shooter. The Samsung counterpart, the J7 Duo also comes with dual rear camera setup. The primary sensor is a 13MP one with a f/1.9 aperture, and the secondary is a 5MP sensor which again helps the phone in snapping pictures with shallow depth of field. Additionally, The Galaxy J7 Duo supports Samsung’s Live Focus feature and also a new Background Blur Shape feature that lets you add the soft light effect in different shapes to your photos. The front camera which is equipped with software add-ons like Samsung’s Selfie Focus feature is an 8MP sensor with f/1.9 aperture, similar to the rear primary shooter. 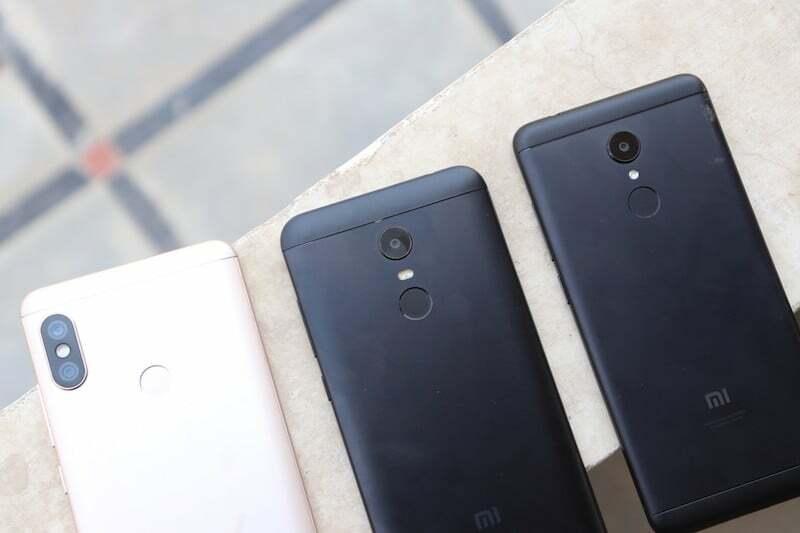 The Redmi Note 5 Pro which comes in two variants ships for Rs. 13,999 for the 4GB RAM and 64GB storage version while the next variant 6GB RAM and 64GB retails at Rs 16,999. The Samsung Galaxy J7 Duo, on the other hand, is only available in a single variant. The phone retails at Rs 16,990 and is expected to sell exclusively in physical retail stores as per Samsung’s announcement. J7 duo lacks some features compared to the worst class xiaomi. But Samsung A9 pro 2016 still rocks over the worst class redmi note 5. If xiaomi’s worst class is still better than Samsung by your own words, then Samsung is scrap according to you. A9 pro remains one of the best midrange phones Samsung has ever produced. It will get even better after Oreo update.